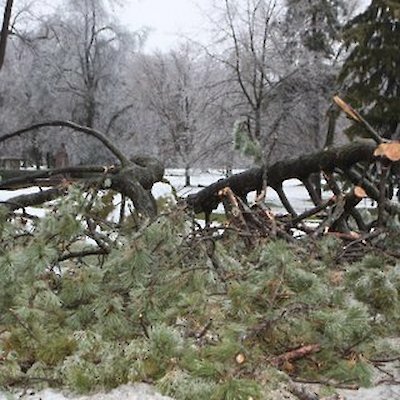 On the official first day of winter, December 21st (known as Winter Solstice) a vicious ice storm hit the Niagara area over night turning Niagara into a winter wonderland. When the sun came up in the early morning I grabbed my cameras and headed towards the falls. 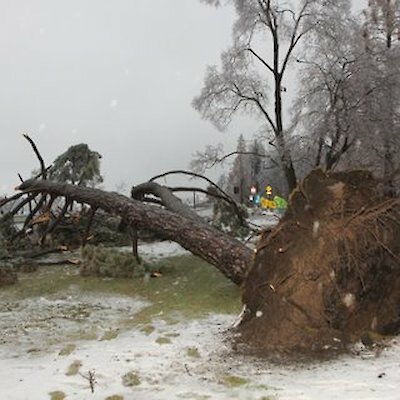 What I saw there was a 150 year old tree in sight of the falls blown over by these fierce winds. Plenty of branches from other trees were strewn nearby. 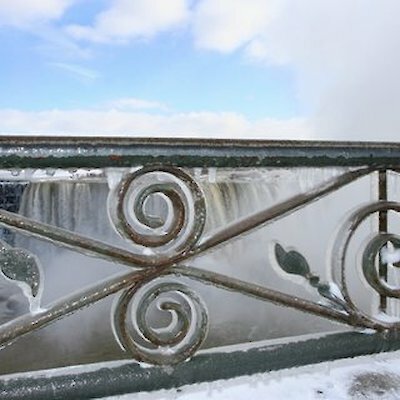 Nearby trees, lampposts, fences, iron railings at the brink of the falls and signs were covered frozen spray from the falls redecorating the landscape into breathtaking pieces of nature’s art. Now that the weather has turned cold you can expect to see this lovely scene repeated dozens of times at Niagara Falls. Don’t forget to bring your camera. Here are a few photographs I captured with my camera.